Appleton Cooks! is a new program and event-oriented aspect of Appleton Farms in Ipswich MA. 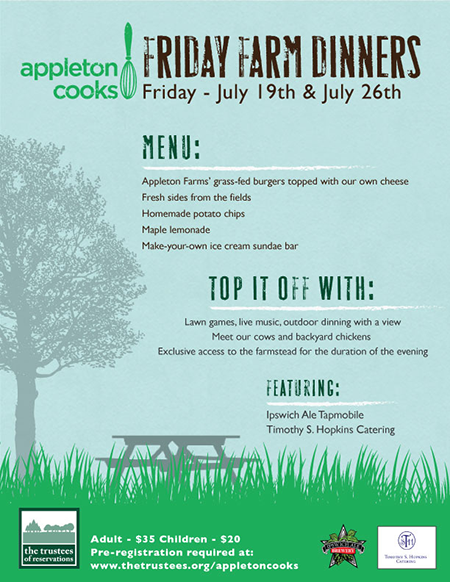 In need of poster material for an upcoming event called “Family Farm Dinners”, Appleton Cooks! came to MacAdam Design for help. Appleton Farms is part of the Trustees of Reservations, which helps to preserve and protect places in Massachusetts such as Appleton.